Friday 22nd September is Developmental Language Disorder (DLD) awareness day. DLD is when a child or adult has difficulties talking and/or understanding language. It is a hidden disability that affects approximately two children in every classroom, affecting literacy, learning, friendships and emotional well-being. Support from professionals, including speech and language therapists and teachers, can make a real difference. Read on for one story of DLD….. The DLD Knot: Hanna (name changed) was a 12 year-old who arrived on my caseload when she was at quite a low point. Her parents were really worried about their daughter and how she was feeling about school, the Learning Support teacher had tried everything she could thing to support literacy, and most importantly Hanna felt stuck, confused, had experienced some bullying because of her difficulties and was increasingly feeling anxious and full of dread at the thought of school. Finding the first loose strand: Hanna had never had any Speech and Language Therapy (SLT) before. For a number of reasons the cause of her difficulties hadn’t been identified, but her Educational Psychologist suggested that language difficulties might be at the root and recommended a full SLT assessment. And so Hanna came to me. As soon as her Mum described her difficulties over the phone DLD sprang to mind, the first loose strand was spotted and from there we set about unravelling the knot together. Teasing the threads: We started a really detailed assessment looking at all aspects of the use and understanding of spoken language. Because Hanna was that bit older and was keen to engage with the process it became a dynamic assessment and as we did each part of our formal assessment we spoke about how Hanna thought about words, about what happened when she couldn’t say the word she wanted, how it felt when there were too many words to process and when she wasn’t able to follow what was being said, and best of all the ways that she had developed herself to compensate for the challenges. Each of those little discussions was another thread being teased loose. Separating the strands: Together we identified the tricky bits, and shared the frustration. But we also uncovered many real strengths. Threads of kindness and empathy, hard-work and determination, an eye for detail, visual thinking and a very strong strand of creativity. As we separated out the strands and captured them together I saw the confidence start to grow. Once our assessment was completed we drew a big mind map, all colour coded and captured each of those strands and could identify what our next steps were. Weaving: Because our time was limited to an initial block of 6 weeks I chose a metacognitive approach to developing strategies. This is where we began to weave the strands, together again, challenges and strengths supporting and strengthening each other. We developed a visual way to figure out the main idea of a piece of work or a text, and how to translate this into written and oral work. We created an ingenious little system to learn and store tricky words, and we worked on empowering Hanna to recognise when she hadn’t understood and seek help. A Fresh Weave: Hanna still has language difficulties. She can still get stuck for words, and overwhelmed by lots of spoken information. Word learning takes her extra effort and she still finds reading and tests hard. But Hanna has a good understanding of what helps her and of what her strengths are, and a strong sense of ownership of the strategies she uses. We were all proud last year when she scored highest in her year for study skills – surpassing other students for whom learning was a doddle. This was a real testament to all the hard work she put in and a great example of how she has woven herself a fresh story. It’s important to stress that this is not about changing Hanna, but about self knowledge and untangling the bits that are unclear. The future feels much brighter to Hanna and her family, and understanding and herself has been a key part of this process. If you want to find out more about Jude you can follow her on facebook @growsalt or her blog on www.judephilip.co.uk. There is also loads of information about DLD on the RADLDcam youtube channel – superb videos – and Naplic.org. 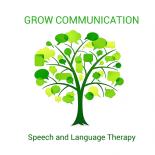 This entry was posted on September 20, 2017 by judephilip in Uncategorized and tagged Developmental Language Disorder, DLD, grow communication, speech and language therapy.